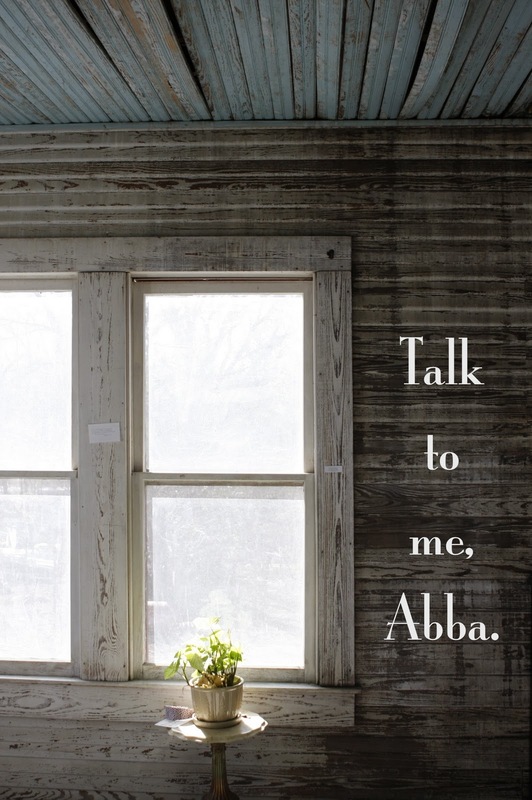 Terribly Interesting: Talk to me, Abba. Do not get distracted from the thing I have called you to do. Always be ready and available to love when I come your way in the face of another. There is no need to dress things up with churchy words or to call what your doing a ministry. Just love people right where you are. Don't love others by throwing Christian things at them. Love them with your presence. Love them with your nearness. Don't let the moment to have a deep heart connection form with another human being pass you by. Don't miss Me in the face of another. 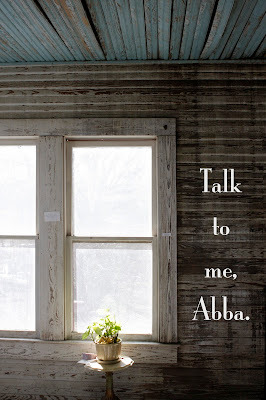 "For I was hungry, and you gave me something to eat; I was thirsty, and you gave me something to drink; I was a stranger, and you invited me in; naked, and you clothed me; I was sick, and you visited me; I was in prison and you came Me." I Set a Table Before You.